Heckmondwike FB, one of the UK’s leading commercial fibre bonded carpet manufacturers, has strengthened its market presence with two significant new appointments. 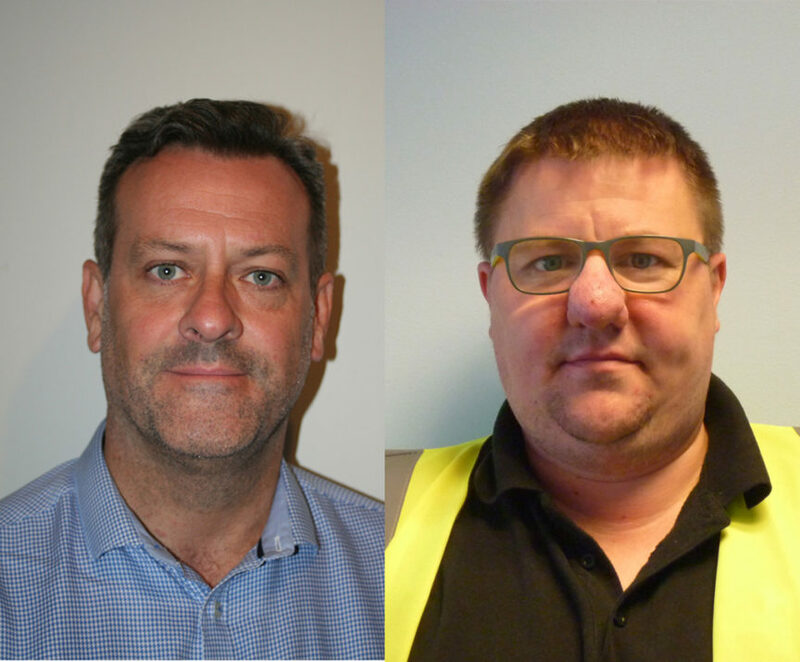 Lincoln Chillman has been appointed to the role of Area Manager for West London, Tunbridge Wells, Hampshire, Berkshire and Dorset and Jason McKelvey has been promoted to the role of Works Manager, following 12 years as Quality Control Inspector. Lincoln has been in the flooring industry for over 20 years which includes working in flooring wholesale, retail, contracting and manufacturing. His objective is to raise awareness of Heckmondwike FB floor finishes within the region in which he operates, building on the company’s reputation for excellence in fibre bonded carpet. Jason aims to enhance quality and production efficiency, to further improve customer satisfaction. His role involves running the production and despatch on site for both Heckmondwike FB and Playrite, the company’s sports surfaces business. Heckmondwike FB has recently revealed its new company branding, a new brochure and a re-designed website. The company’s powerful new strapline – ‘Heckmondwike – Makers of Fibre Bonded Carpets’ – demonstrates its unique heritage, celebrating 50 years of fibre bonded carpet manufacture for the education, commercial and health sectors. The company’s refreshed contemporary image reflects a new design-led approach, which is reflected in its new shade card suite and corporate marketing literature and collateral.